The Moog Etherwave Theremini Miniature Theremin is a re-imagination of one of the oldest electronic music instruments in history. The Theremini is possibly one of the world's strangest, spookiest musical instrument, which requires no touching. Simply control the sound with gestural movements, controlling pitch and volume with your hands. The Etherwave Theremini features a range of performance enhancing features to assist the user including assistive pitch correction, allowing you to play every note in a selected scale perfectly. The built-in delay allows you to create those spooky, spacey effects that are ideal for Sci-Fi movies and games. The built-in speaker allows for private rehearsal and setup anywhere. The Theremini features 32 sound presets, each providing a distinctly different tonality or timbre. The Moog Etherwave Theremini is an invisible untouchable instrument that allows you to control pitch and volume by moving your hands through the air. It is a space controlled musical instrument that allows you to create a range of drone, ambient spooky sounds. The Etherwave Theremini is possibly the world's strangest, spookiest musical instrument. Make and control music like never before using the Theremini. By moving your hands, you can control the pitch and volume, and create effects like vibrato. The Theremini can be played by interacting with the 2 electronic antennae using subtle hand gestures. The vertical one controls pitch, whereas the horizontal one controls volume. It can be used at any skill level, and provides new ways to experiment with music and gestural control. 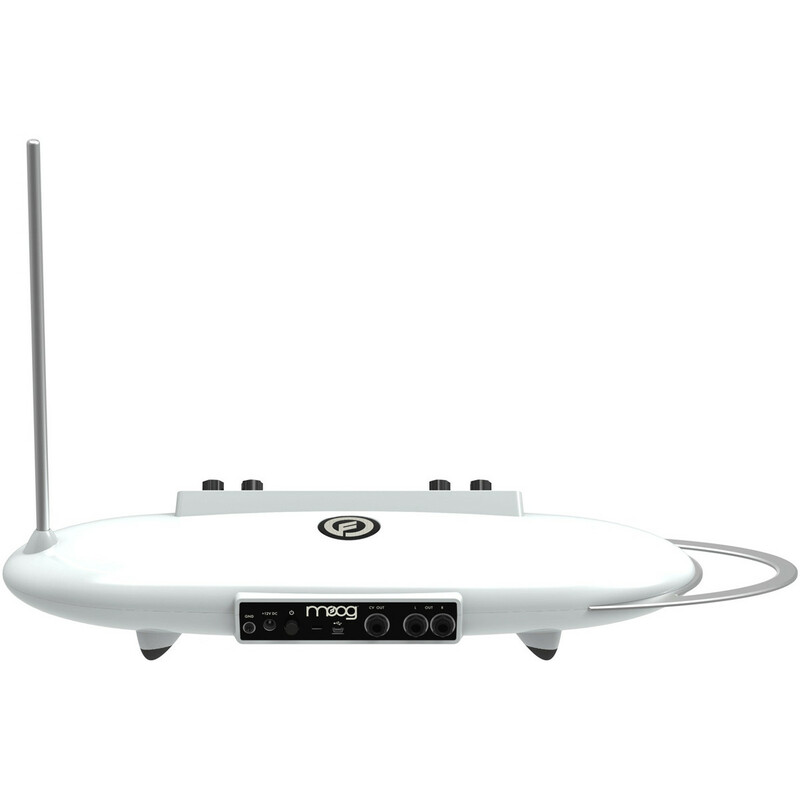 The Moog Theremini is much easier to play then the original Theremin. Moog have added features to help assist with your playing. It features assistive pitch quantisation, which allows each player to adjust the level of playing difficulty. When in the maximum position, the Theremini will play every note in the selected scale perfectly, therefore making it impossible to play a wrong note. You can also choose to turn this off, allowing it to perform like an original Theremin. You can choose between 22 scales to play the Theremini in. There is also a built-in tuner that supplies real-time visual feedback of each note that is playing, which is useful for correcting your playing position. The Etherwave Theremini contains a sound engine that features 32 sound presets with different tonalities and timbre. Explore and play with the different sounds, creating a range of spacey drones and more. 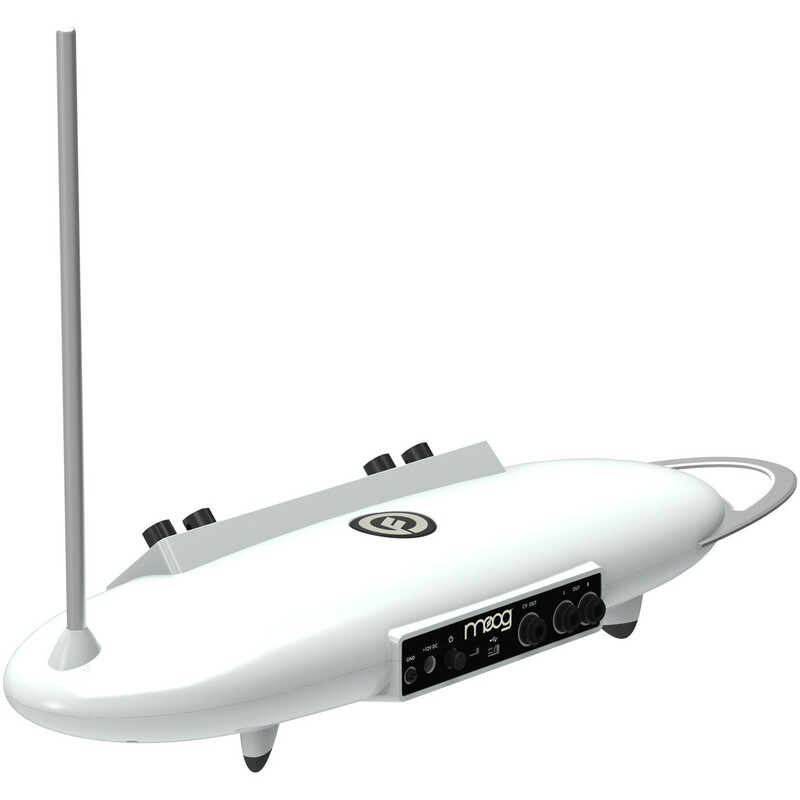 As well as the built-in sounds, the Theremini also features a built-in stereo ping-pong delay with a rotary knob for controlling the amount. 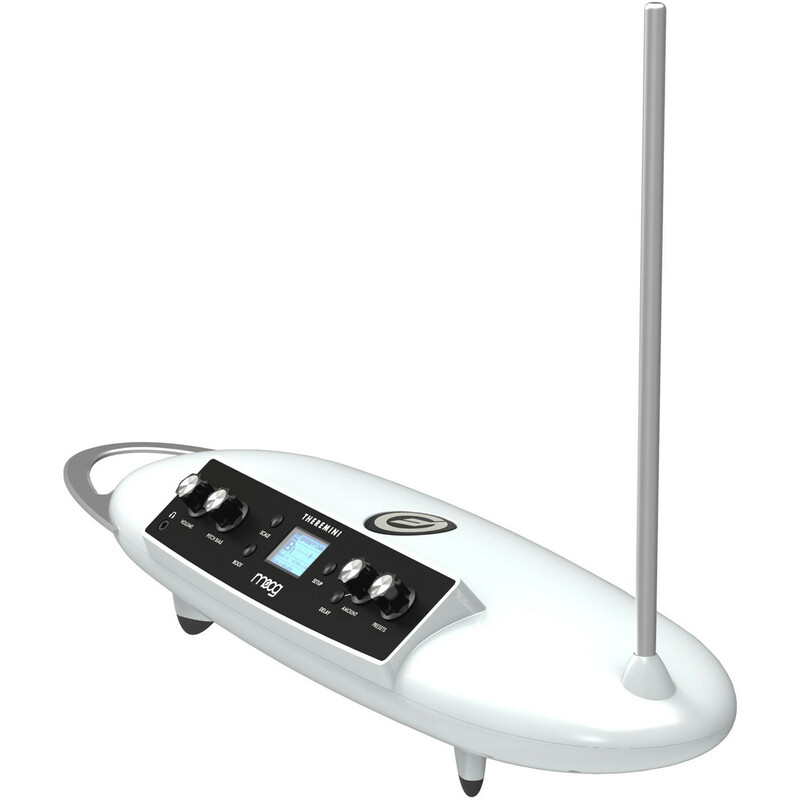 The Etherwave Theremini can be used as a performance instrument, or used within a studio. It features a built-in speaker and headphone port for private rehearsal anywhere. 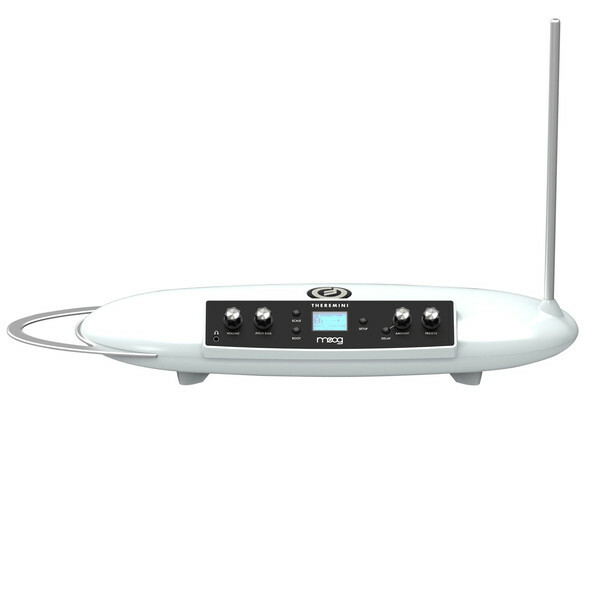 It also features a USB MIDI connection that allows MIDI data to be transmitted and received between the Theremini and a compatible computer, tablet, or MIDI device, allowing you to add the sounds into your music productions.